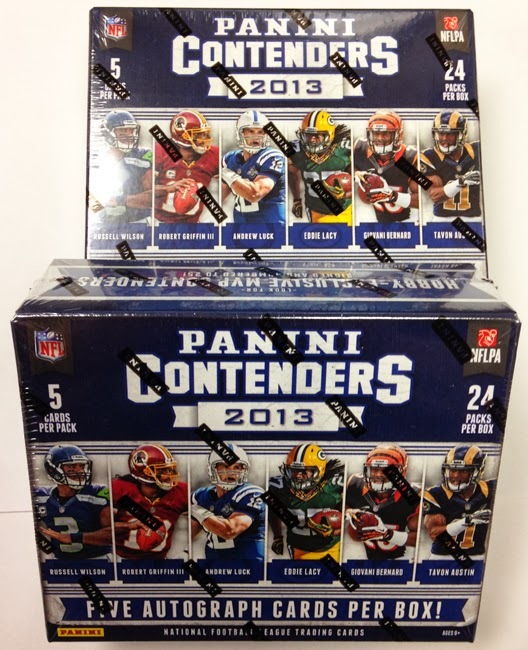 Today is the release day for 2013 Panini Contenders Football cards. We’ve received quite a few questions from collectors, all asking for ways to identify the coveted Short Print Versions of the Rookie Ticket Autos. 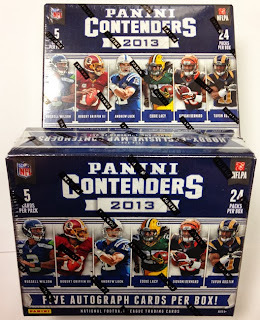 While it might have been tricky in the past, this year Panini has made it rather simple to identify these SPs. They even released the information on their blog, The Knight’s Lance between Christmas and New Years.